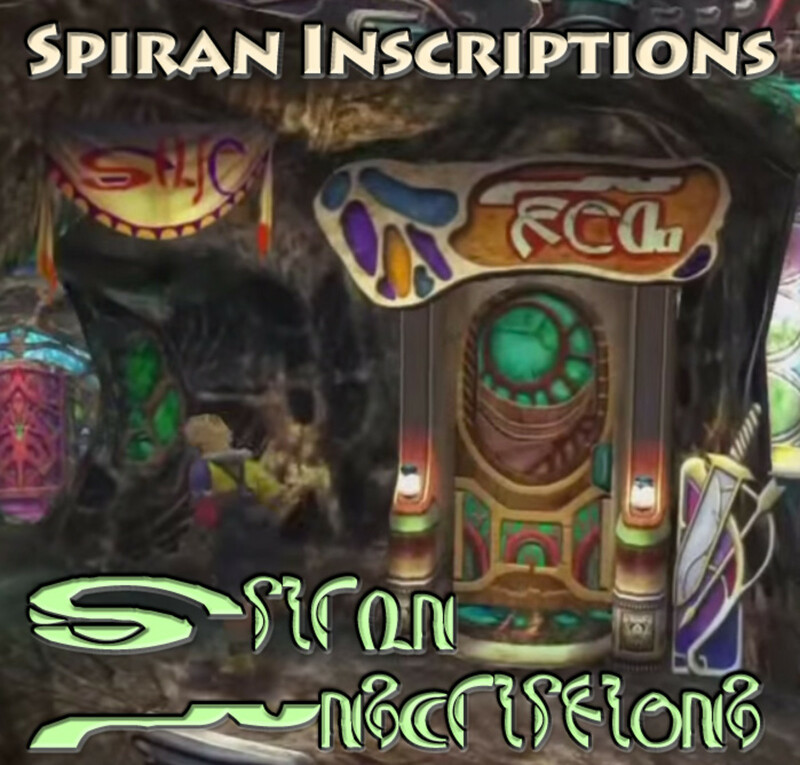 This is part II of my tour of Spiran writing found in the world of Final Fantasy X. 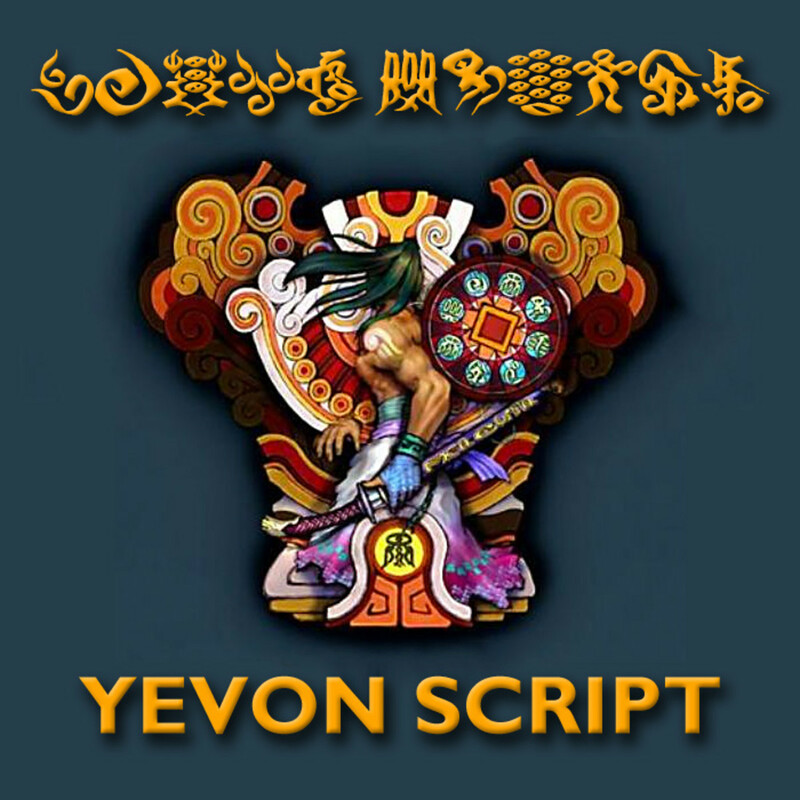 Let's turn to Al Bhed script, the language of Spira's outcast minority group persecuted as "heathens" by the Yevonite majority. The need to simplify game design means there's a bit of hand-waving going on, for both spoken and written Al Bhed. 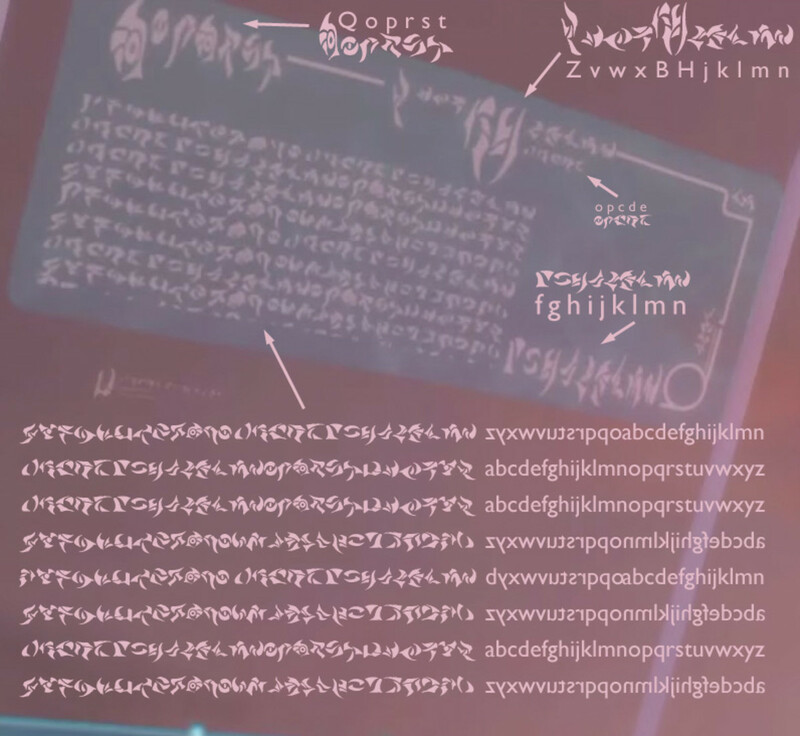 Even though Rikku and her people are supposed to be talking in another language, their spoken words are actually a cipher for Japanese (in the original game) or a cipher for English. 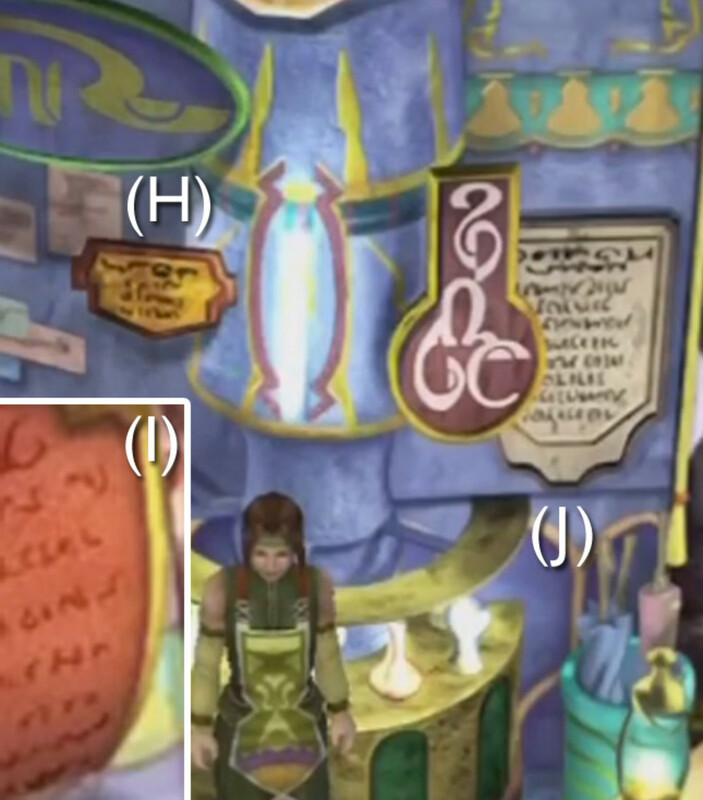 However, in all versions of the game, the written letters of Al Bhed are a cipher for English (Roman) letters. Of course, we can pretend that the letters that I'm rendering as T, S, A are really the Al Bhed letters for the sounds D, C, and Y, but that doesn't work with the Japanese edition of the game. 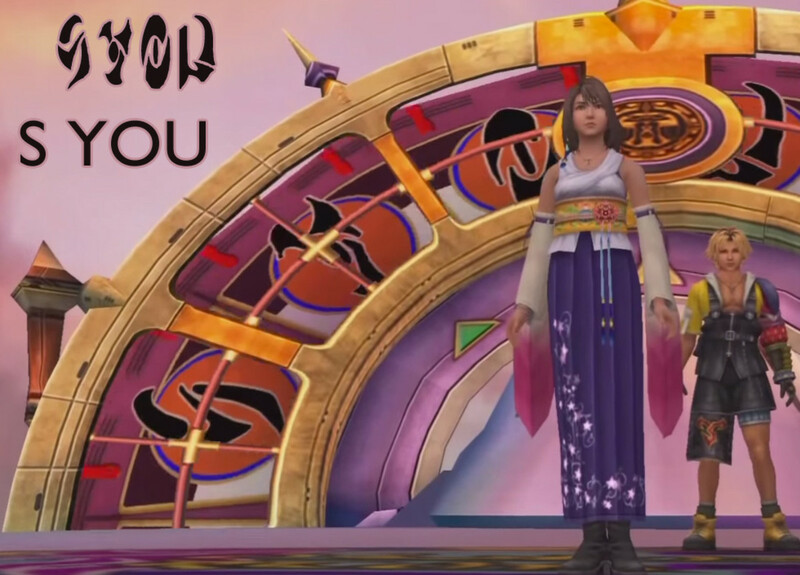 Credits: Screengrabs adapted from dansg08's amazing FFX commentary walkthrough. For labels, I'm using ShinLadyAnarki's Al Bhed Font. Two more things to note. On the one hand, Al Bhed is really hard to read. Sometimes, the letters are written as graffiti tags. Other times, they overlap in weird ways. So I can't always work out what the signs say. Also, a lot of Al Bhed placards and signs are bilingual, partly written with Al Bhed letters and partly written with Spiran (Yevonite) letters. I'm covering all those signs on this page because my original page got too danged long. Okay, enough yapping. Let's get to work! Be sure to click the thumbnails to view the different images in each gallery. Al Bhed ship that tried to kidnap Yuna. Ships, hovers, cranes, lifts, machina, the walls and floors of the Al Bhed Home: they're all emblazoned with this bilingual crest. The lettering says "Salvage Dream" in Al Bhed script and "Cid" in regular Spiran Script. 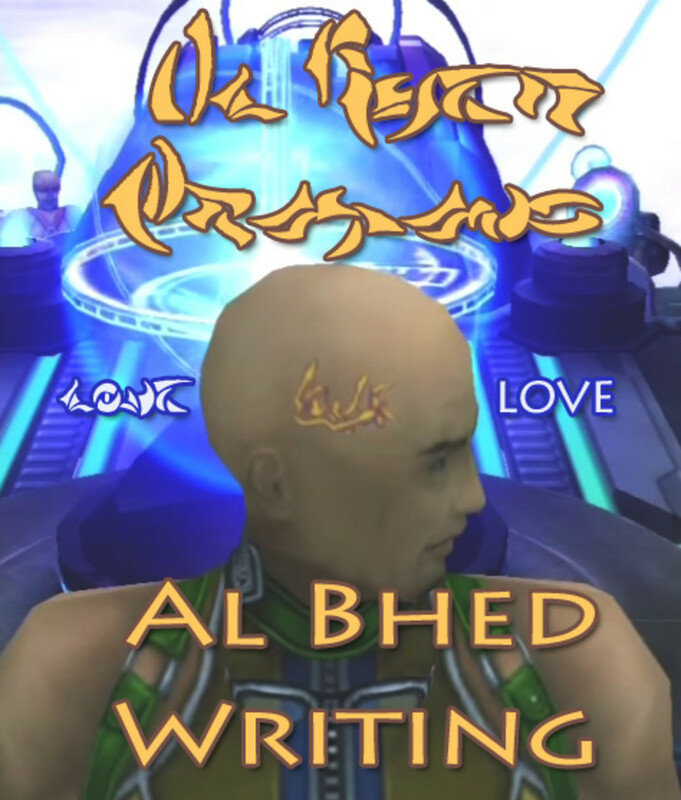 The Al Bhed culture is based on salvaging ancient machina, and Cid's the leader who unified them. So I suppose this is like their flag, a sign of allegiance to the Elder who's brought them together. The words are capitalized, although for Al Bhed the lowercase letters are simply squashed uppercase. 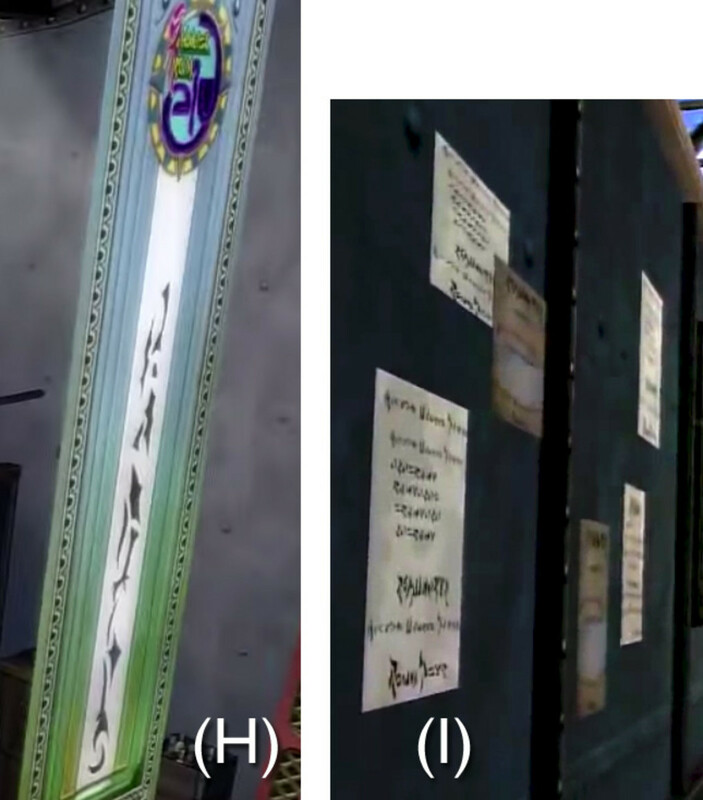 At right is Cid's seal in more natural lighting, in case you need it for fanart. 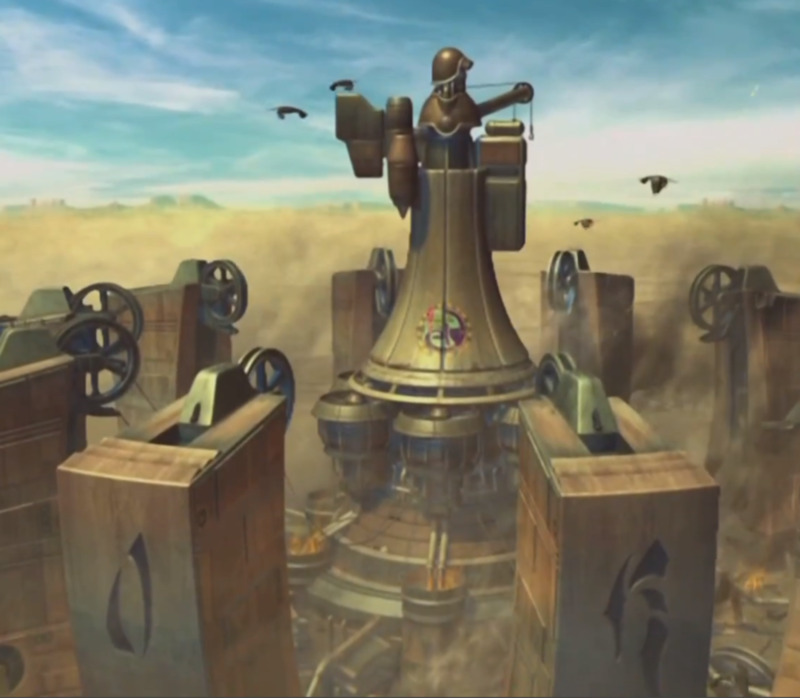 "WIND BLESS YOU" on airship rotor starting at 1 o'clock. NOTE: I flipped image horizontally. 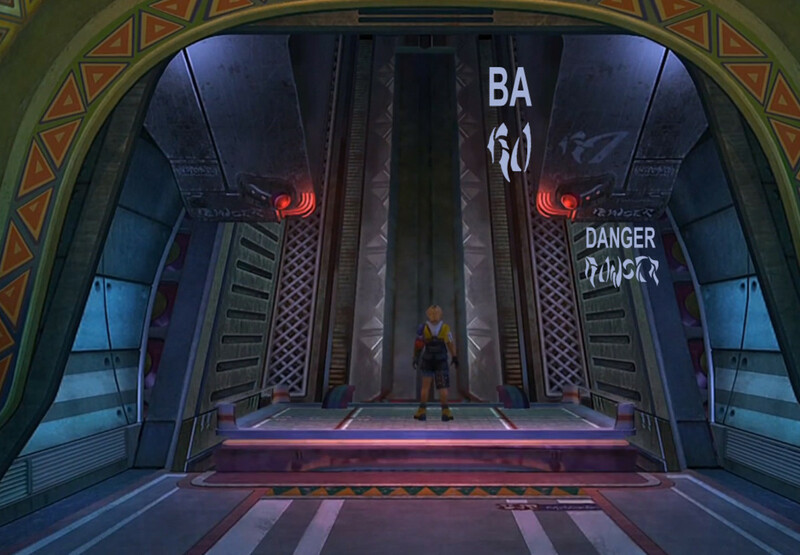 In the actual game, the letters on the rotor are reversed when viewed from behind. 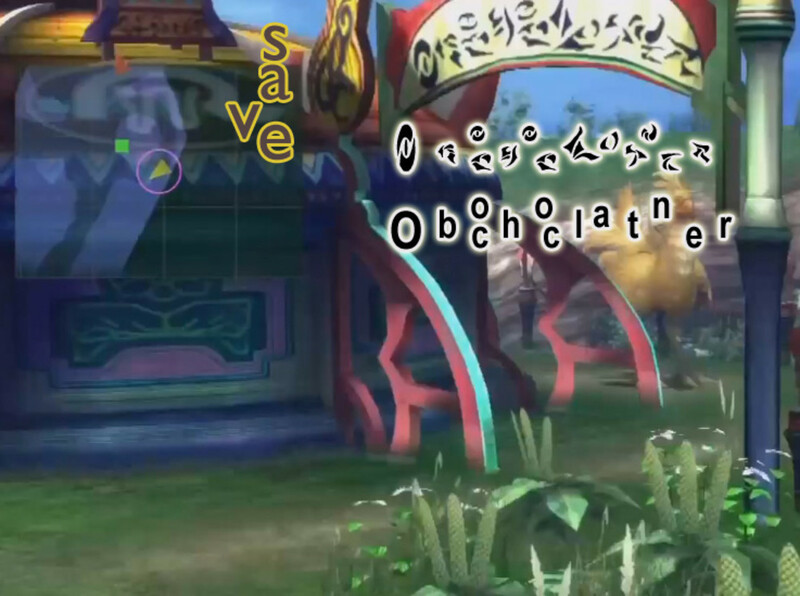 How Many Names Does Cid's Airship Have?! 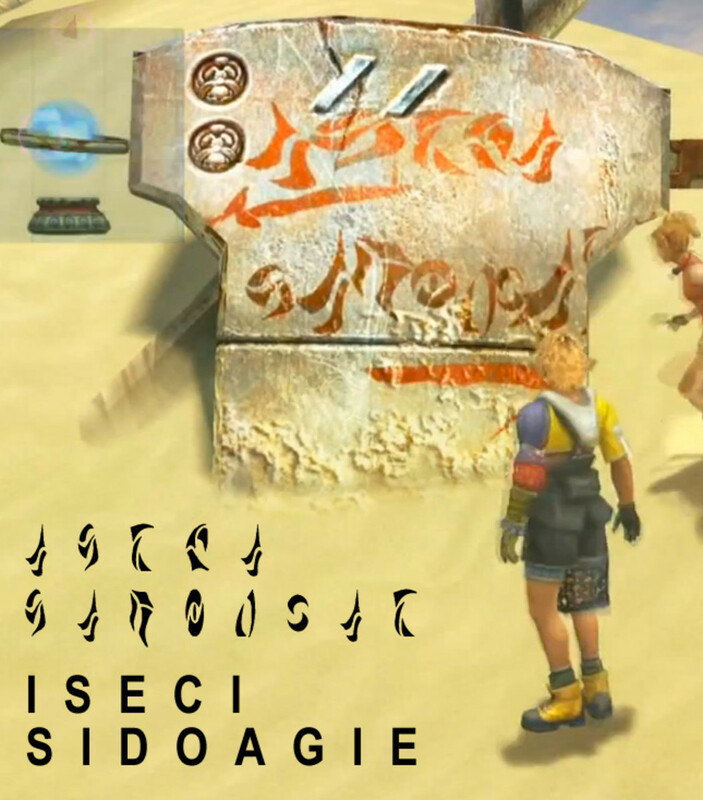 At first I thought Cid's airship was named "Salvage Dream," thanks to the seal above which appears on its hull and sides. 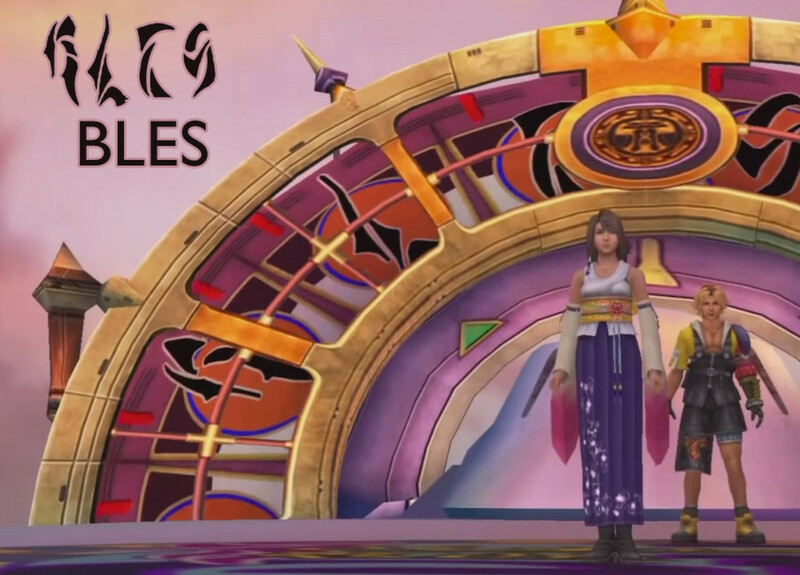 But that logo is all over Spira, wherever Cid's followers are found. 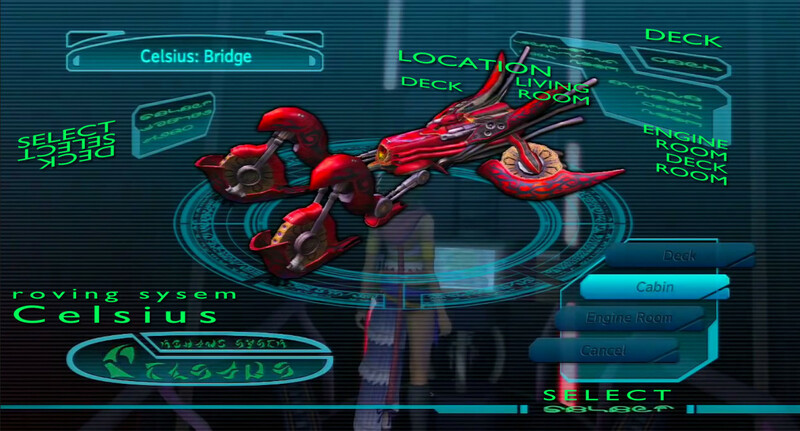 This ship is never named in-game, and Square-Enix has given conflicting information about it. Sometimes it's referred to as the Fahrenheit, which is obviously why Brother named his ship Celsius in the sequel. 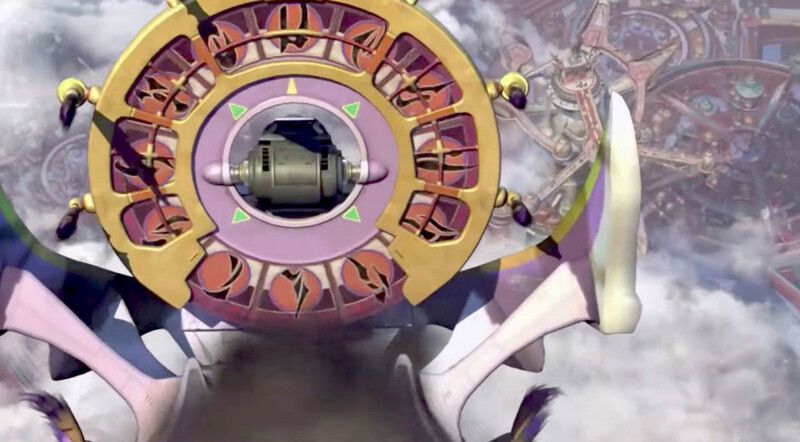 However, the official toy version of it is the Continental Circus, a name which also appears in the FFX-2 Fiend Arena. 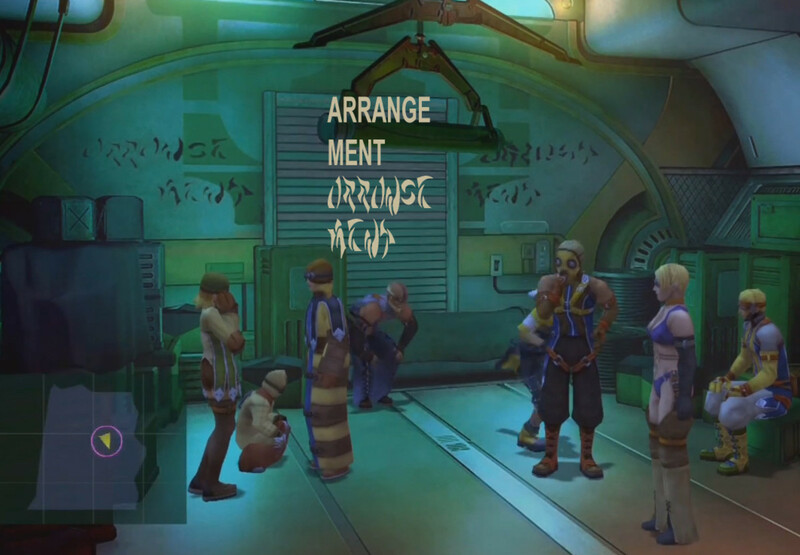 Whatever it's called, the Al Bhed lettering on the rotating back rotor seems to be a subtle callback to Cid Highwind and the Highwinds of older Final Fantasy games. In scenes that take place on the upper deck, you can see the capital letters "WIND BLESS YOU" rotating serenely behind the party. 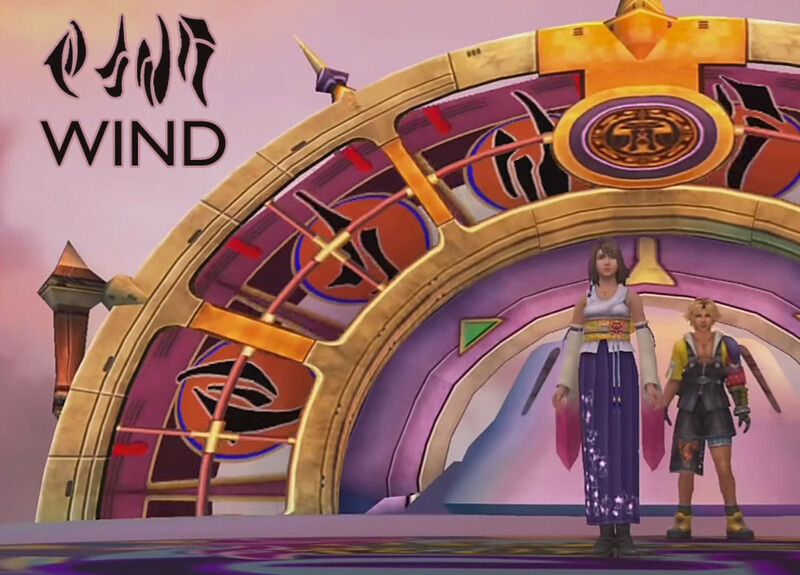 Trivia note: The Fahrenheit does actually show up briefly in FFX-2, hanging over the Zanarkand Ruins. It's not a glitch. It's a subtle clue that Cid's around. While the Marshmallow of Yevon (as I call her) pontificates about evil technology in front of a heathen sign, I can't help noticing a typo. However, it looks like someone made just the sort of mistake that's common when you're writing in a foreign tongue. 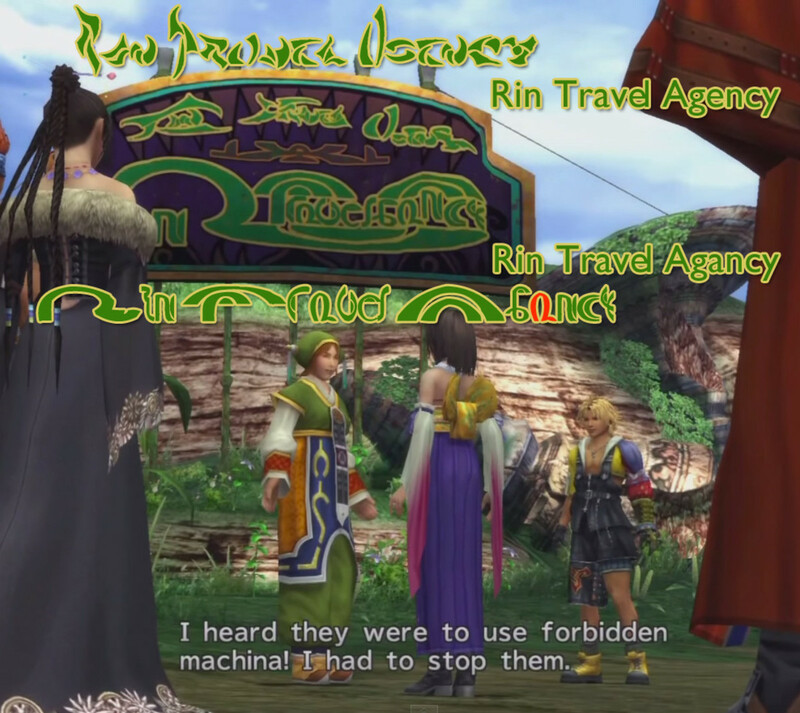 The Spiran script, employed by crafty Al Bhed shopkeepers to attract Yevonite customers, says "Rin Travel Agancy." Shelinda: I've heard that the proprietor, Mr. Rin, is an Al Bhed. But I was very relieved to find that he keeps nothing sacrilegious here. Just like any minority or immigrant population, the Al Bhed have learned Yevonite language and customs enough to provide goods and services, and do it exceedingly well so that they'll be grudgingly accepted. No wonder there's more signs written in so-called "Spiran" here than anywhere else. Although the woman back on Mi'ihen Highroad near the billboard does have a point: "Do you see that sign? What a gaudy ad. They're way out of line. " Pay no attention to the monster on the roof; we're busy with epigraphy. 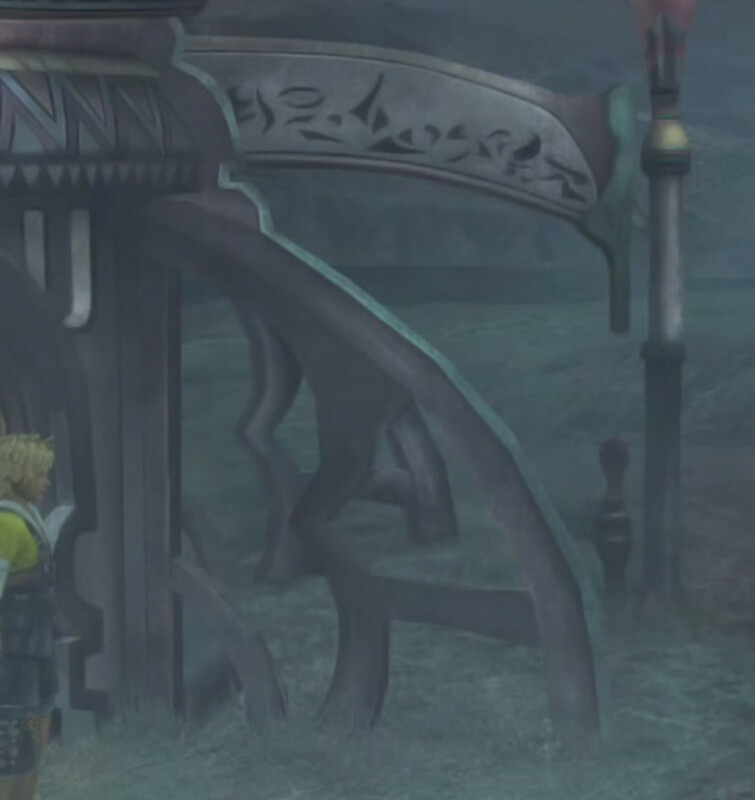 Notice that the "chocobo" sign is shaped like a chocobo's head. That "book" sign has puzzled me for a while, but it appears at other inns where the first and last letter are a little more legible. Wait, you mean we could've rented a chocobo to cross the Thunder Plains and avoid fiends?! 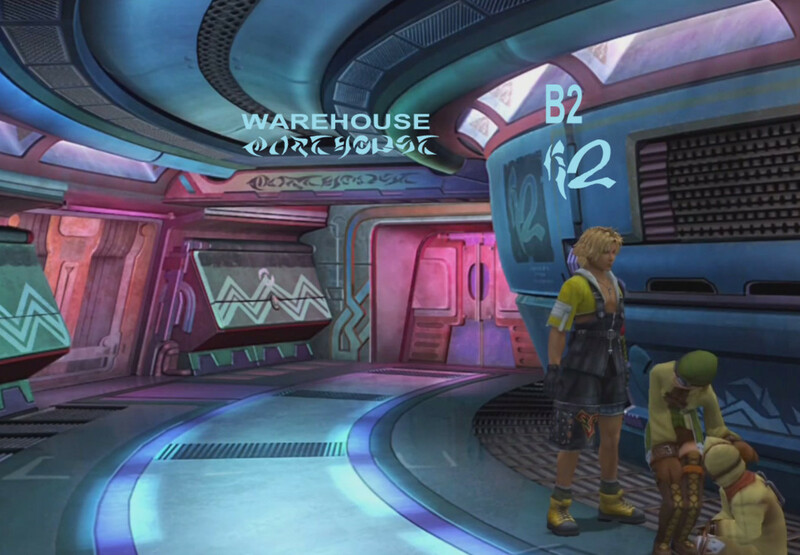 This "chocobo rental" sign in Al Bhed lettering matches the Spiran sign to the left of the building. While the Al Bhed letters are ordered right-to-left, they're not flipped right-to-left. So they're not proper mirror writing. Although if you don't know what the letters actually say, the big "O" appears to be a mirror of the "C" in the Spiran sign. So maybe they were arranged to be visually symmetrical, to the untrained eye, with the sign on the other side? I don't know. It's odd. Also odd is finding this same sign at the Thunder Plains agency! The Agency interior is beautifully detailed— look, the daggers are on sale! — but I can't work out the Al Bhed graffiti on the central column. Most of this is as in the Highroad branch (except daggers and swords have been replaced with rain slickers and umbrellas). However, there's a few signs I can't make out. I'll include them in a "Puzzles" section at the bottom of this page as a challenge for anyone with sharp eyes. 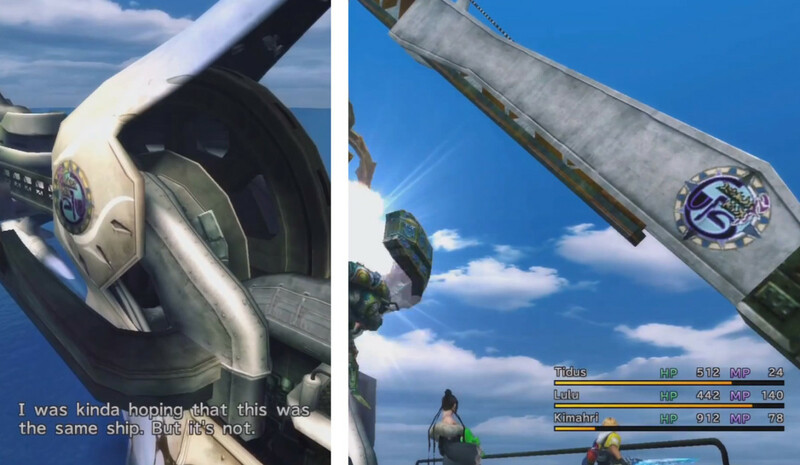 You probably noticed the big "Lake Macalania" sign above Jecht and Auron's heads in the "photo op" flashback. 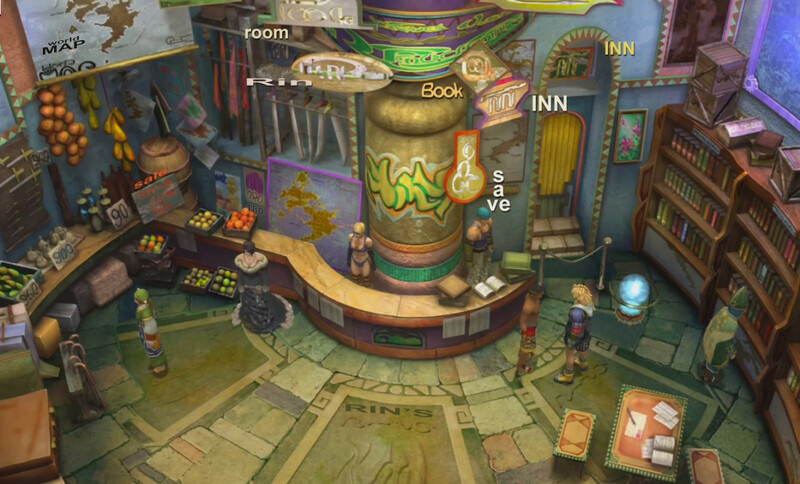 It's on the left side of the inn, where the "chocobo rental" sign is back on the Highroad. After taking a good look at it in the flashback, I think that diamond-shaped sign says "book," as in "book a room." a banner on the back wall to the right of the "save" sign which has "lake macalania" in al bhed at the top, then "location," then more words I can't quite make out. Intrguingly, it's backed by a sign of Yevon. Is this some sort of license allowing Al Bhed to run an inn near a temple? Most interesting of all is the oval sign on the central pillar above the "save" sign. The lettering is quite clear, but it doesn't look like Al Bhed script. Could this be Guado? Okay, that's enough Spiran script. Let's get back to proper Al Bhed! Outside, the towers are labeled A B all the way around, presumably for Al Bhed. That "A" sign is also on the cover of Al Bhed primers, by the way. The cockpit is on level B3. The curving corridors confuse me: is the interior architecture a spiral, or are we only seeing the left (B?) side of the ship? Corridor up to level B2. ...and if you continue through the bulkhead door behind her you find this room full of refugees. Level B1 is the observation deck. Level BA is the outer hull (I think). Thanks to guest commenter Sayosa, who provided the translation: "His tattoo says 'Love' just as Don Corneo of Final Fantasy Seven had inscribed onto his head, though I see no resemblance between both of the characters." He may be a grumpy old man, but Cid loves his people and his family fiercely. 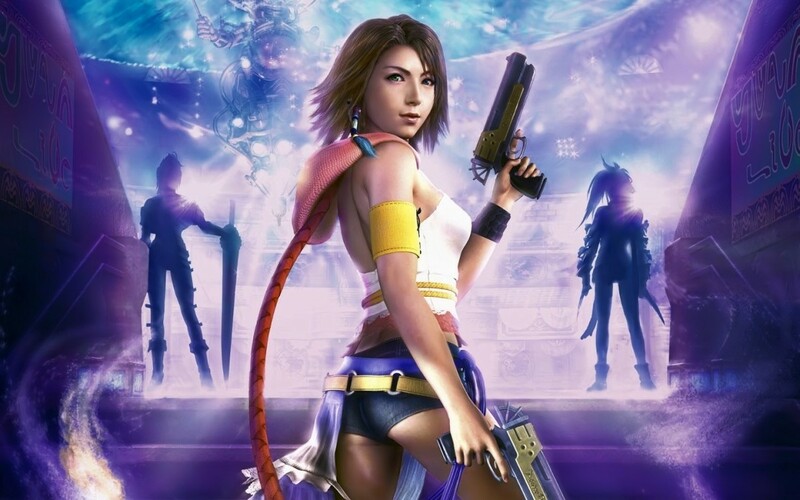 Final Fantasy X has spoiled me: usually, writing does mean something. However, now and then, there's inscriptions that appear to be merely decorative. Most of these are on airship walls and displays. 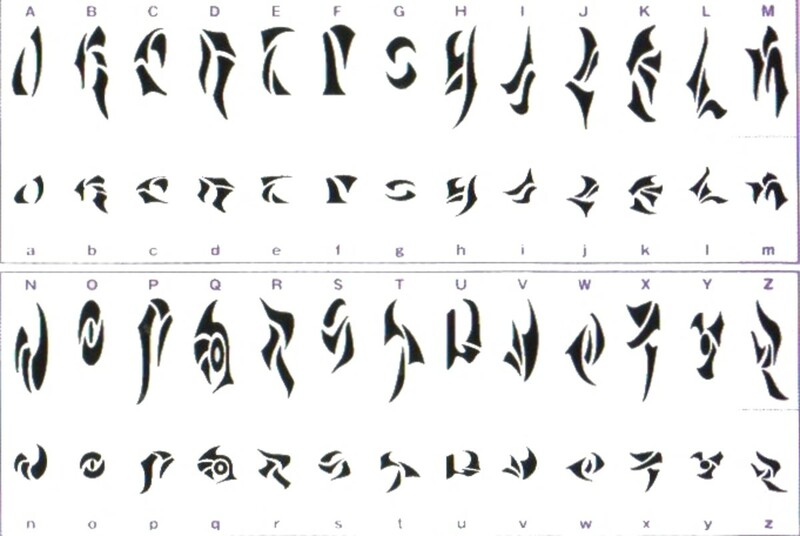 I haven't translated all of these, so feel free to double-check me, but from what I can tell, they're chunks of the alphabet or interesting-looking Al Bhed characters. Most of those on the right side of the cockpit are mirrors of the left, and the right side inscriptions tend to be flipped horizontally. 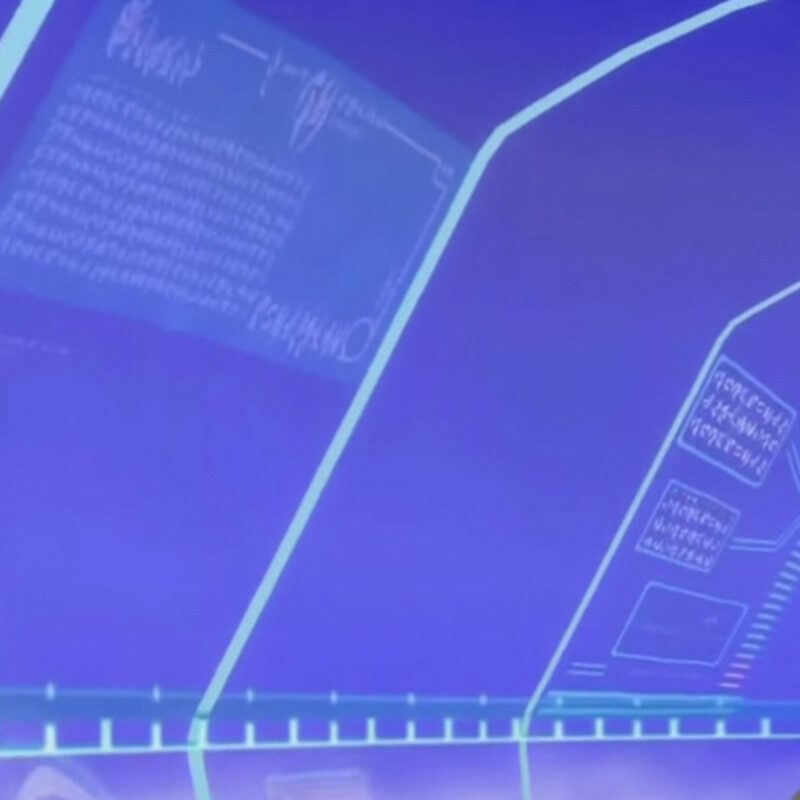 Cid's computer display (right side of cockpit). The various layers of this complex screen are echoed on the heads-up displays of the glass canopy of the cockpit. Left side of airship's glass canopy. 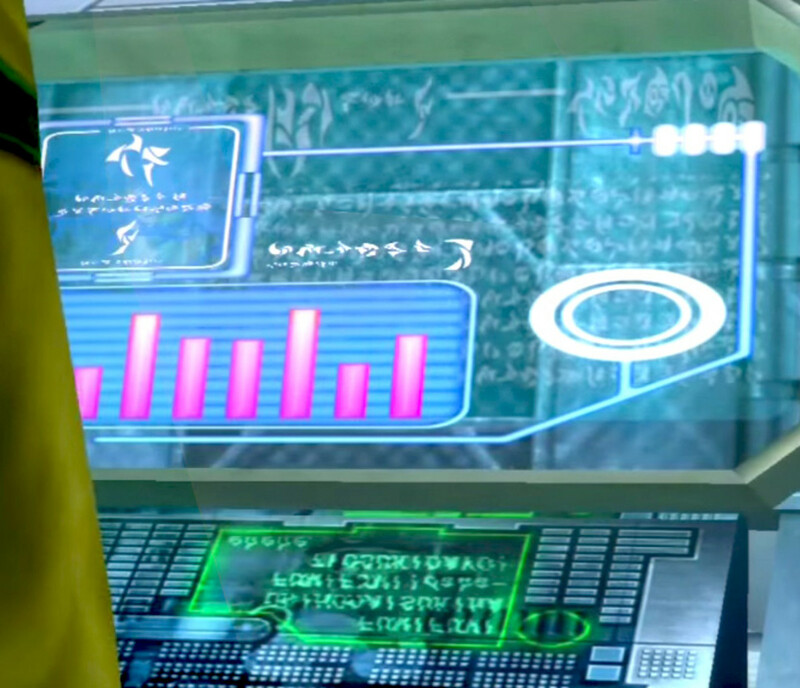 The left-hand display is a ghostly background layer on the upper screen of Cid's computer; the right-hand middle panel forms the green-on-black display in the middle of Cid's over-complicated keyboard. 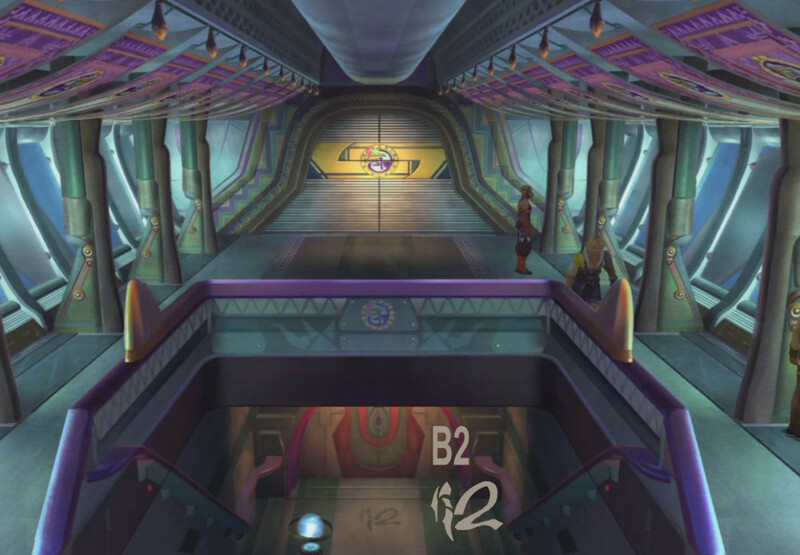 Left side of airship's glass canopy (sunset), same as last screencap, zoomed in on the left-hand display panel which is often visible over Brother's shoulder. 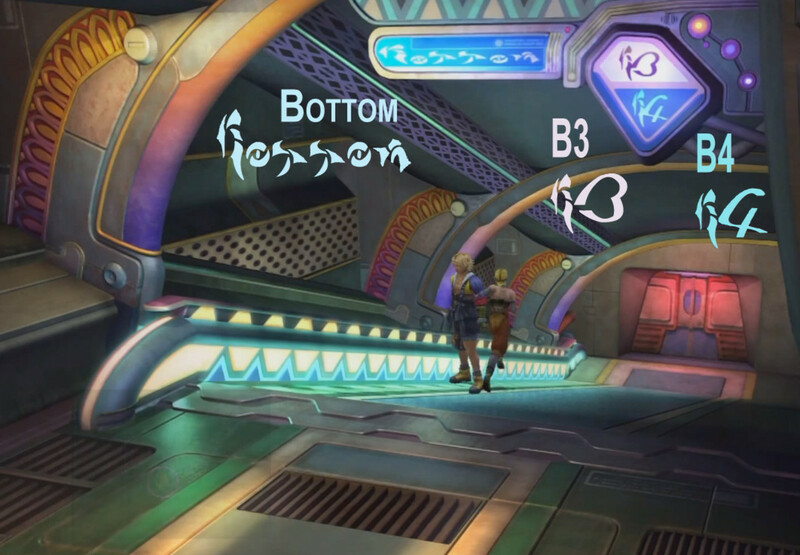 It's also the faint background for Cid's computer. 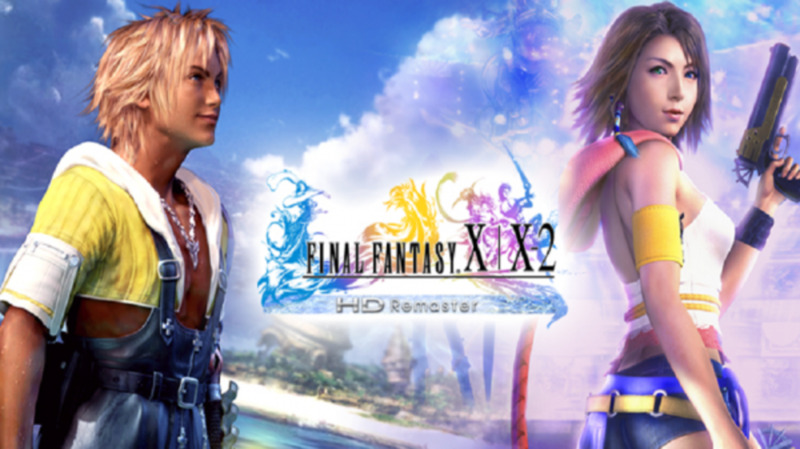 I need to do a thorough scour of Final Fantasy X-2 to look for writing in the new areas that were added. So far, I've spotted some Al Bhed scribbled on the floors and displays of the Celsius. Most is decorative (the "Opqrstuvwxyz" scrawl is all over the place), but there's a few new displays and menus. Also, I'm not sure whether the letter "H" staggered along the corridors on each deck of the Celsius anything, but that's what that sign is. 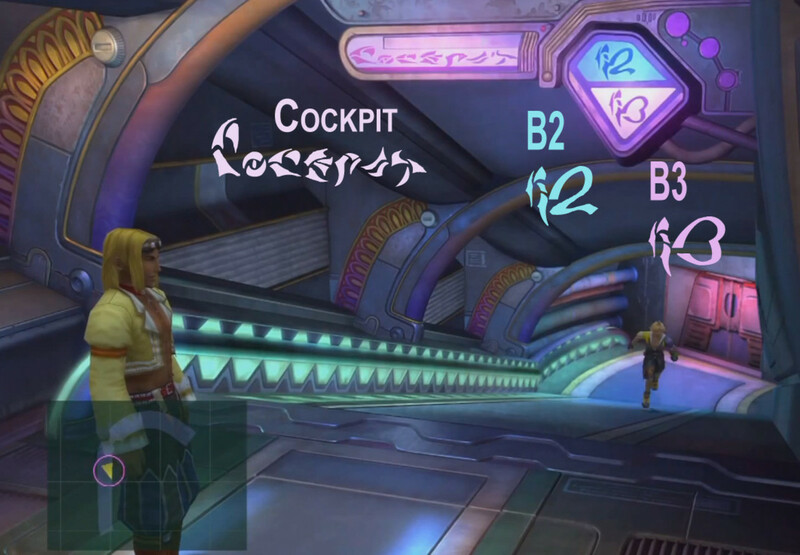 Different parts of the ship light up as you select different floors, but the Spiran Script is static. Also, typo: it's a "roving sys[t]em"! 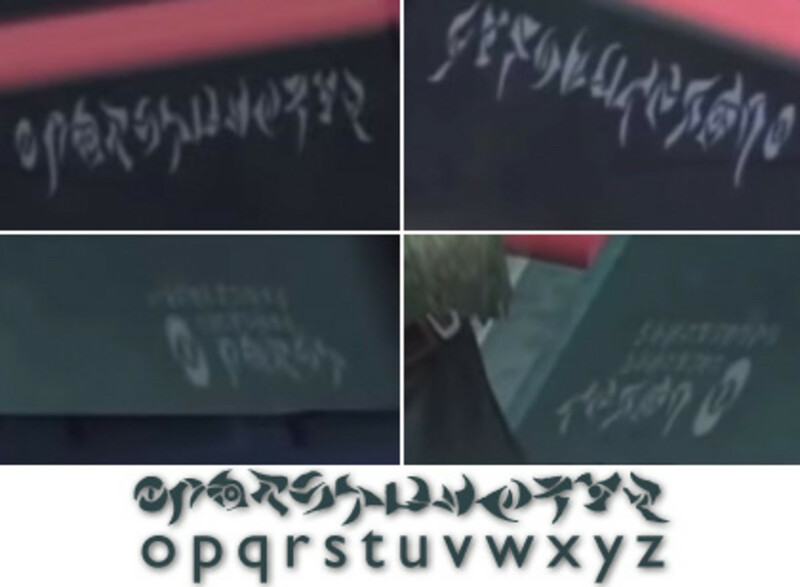 Shinra's computer has "NAME" and "VS" (that is, "versus") in Al Bhed. The airship world map rates the "MENACE" level of each area, telling you how dangerous the monsters are. 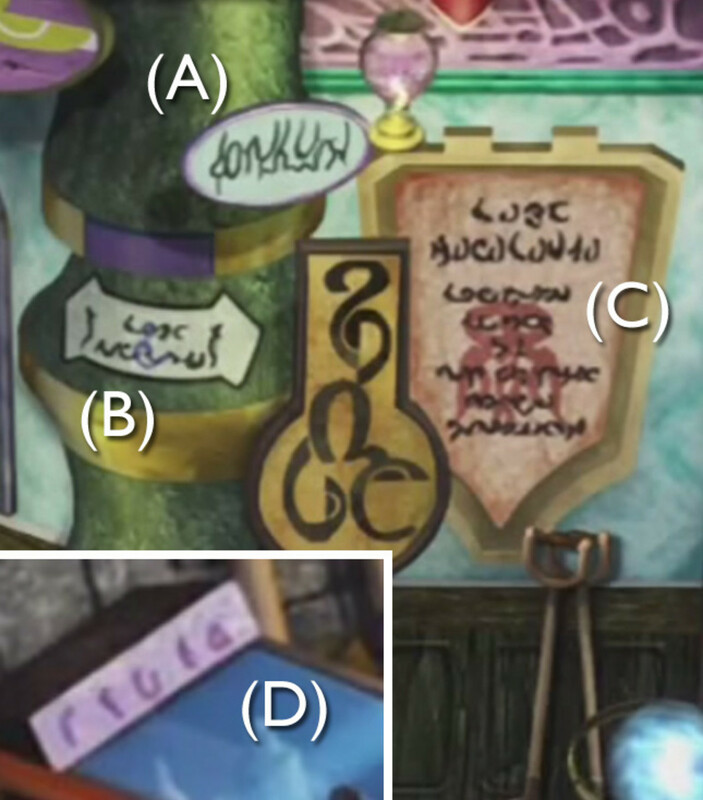 Al Bhed (and Spiran) Puzzles - What Do These Say? 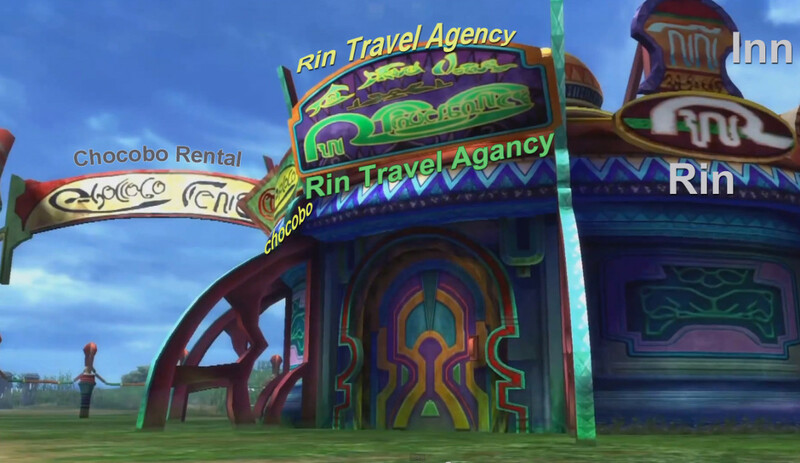 Now let me share with you some screencaps I can't decipher from Rin's Travel Agencies and the Sanubia Desert. See my notes in the captions. 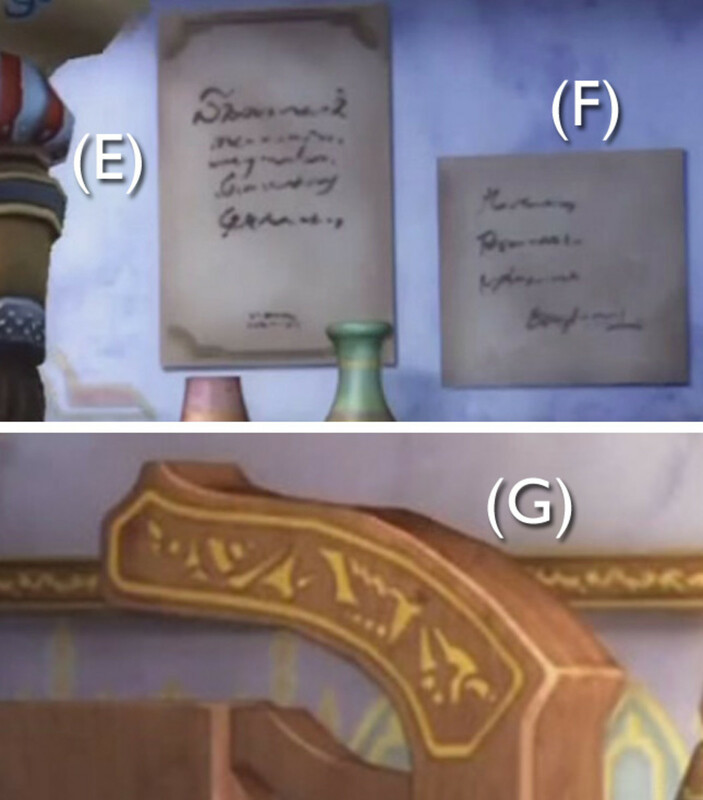 If you can figure out any of these puzzles, please leave a comment in the guestbook! When you look at this sign in the game, the Al Bhed subtitles translate it as, "Beware of Fiend! Weaker fiend to the right. Stronger Fiend to the left." But that's not what's written in the graphics! Is this a cipher? If so, what does it mean? Inside Macalania Travel Agency. I feel like A might actually be Guado writing. B looks like "Lake Macalania," but it's too short. (C) says "Lake Macalania location" and then I'm stuck -- but it's stamped with Yevon's sign! (D) is a shop display. 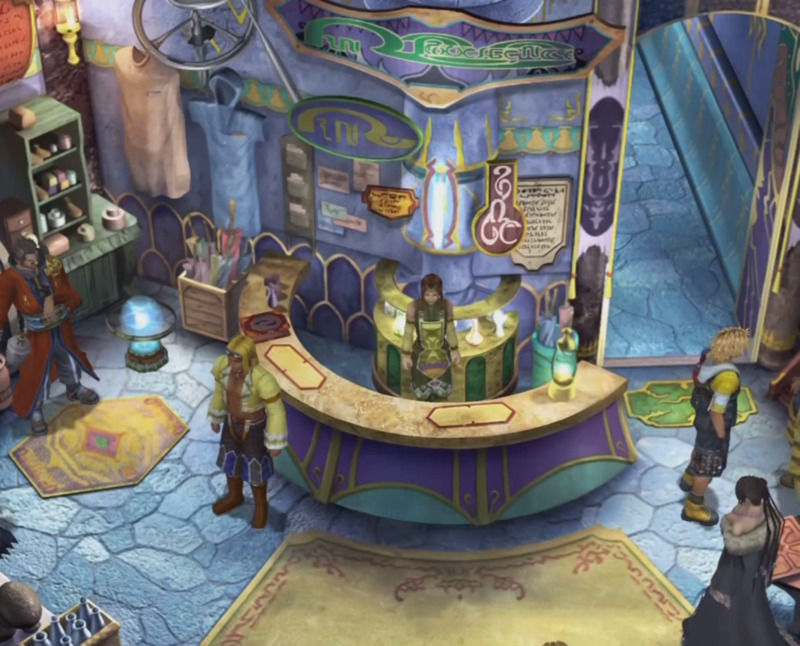 Yuna's room in Thunder Plains Travel Agency where Tidus eavesdrops on her listening to Jyscal Sphere. Signs on wall are obvisously meant to be handwritten, and I'm not sure if that gold lettering on the bed's headboard (G) is decorative or writing. 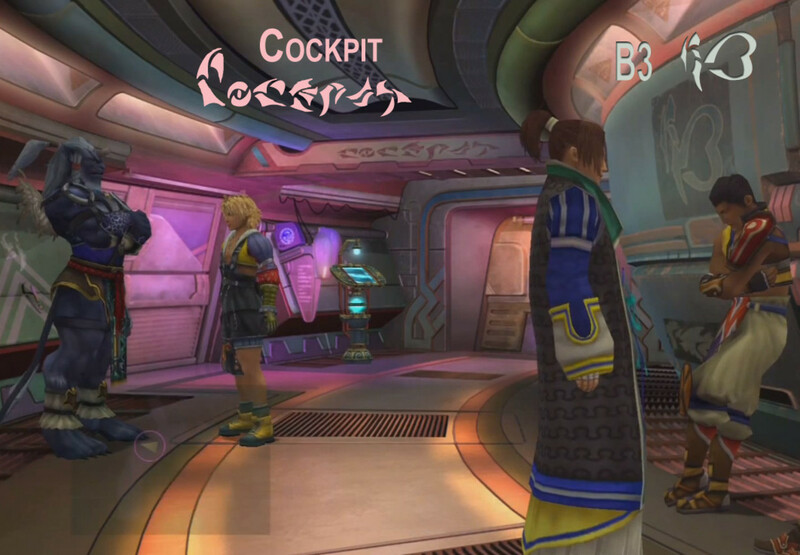 These are banners and signs in the cabin / bar area of the Celsius airship in FFX2. 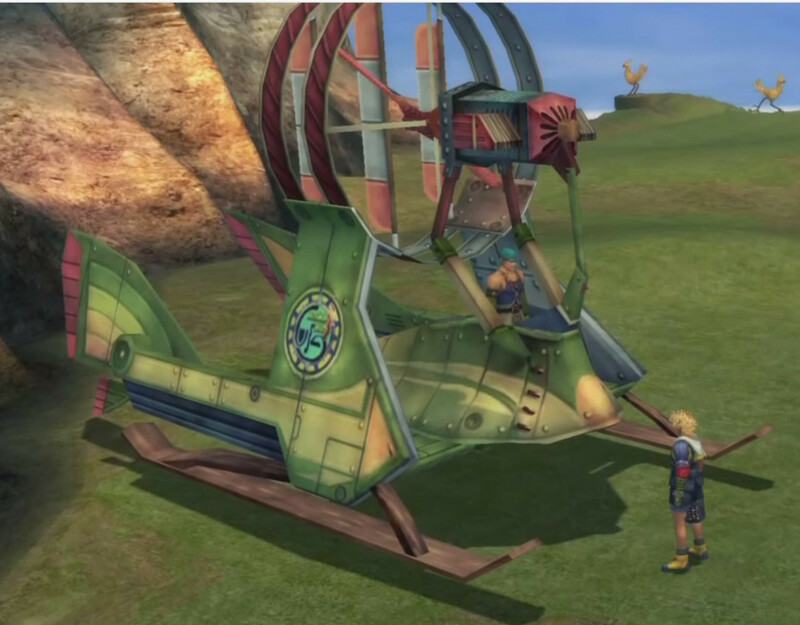 As I mentioned above, there's evidence that Cid's airship was meant to be named the Fahrenheit, sister ship to the Celsius in Final Fantasy X-2. Even if it's got a sneaky reference to the Highwind ("Wind Bless You") on the back rotor. 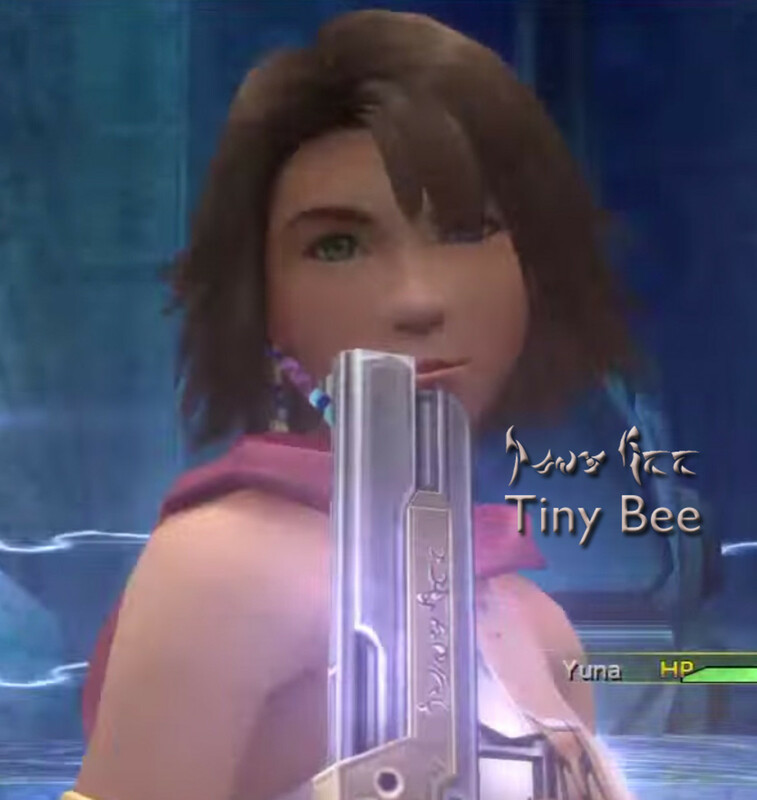 However, when Square-Enix created a licensed toy of it, here's what they named the toy. 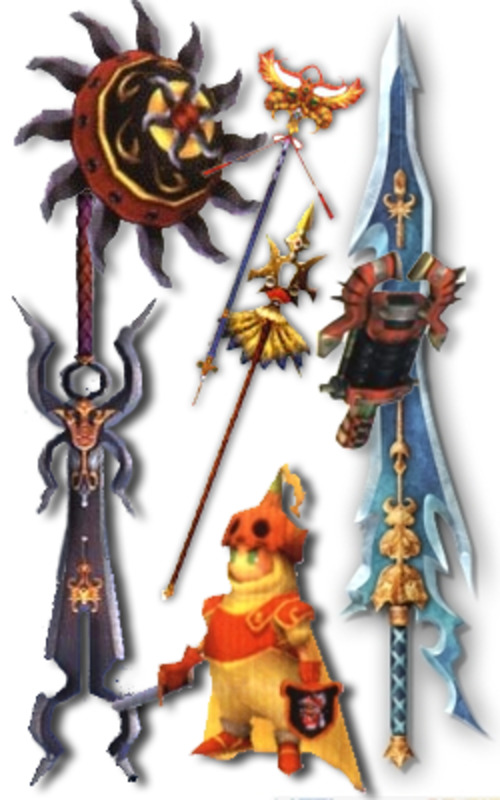 I guess, considering the high-wire act we used to crash Yuna's wedding, Tidus & friends do qualify as a circus. What an incredible article! I admire the amount of work put into it. Any speculation as to why most signs, including simple ones such as "Bottom" inside the Farenheit, are actually in English but simply using Al Bhed script, instead of actually being in Al Bhed? Oh, wow, thank you! There's a few signs in Al Bhed shops I can't figure out either — maybe they're the Japanese cipher! Really enjoying your Spiran language articles! On that Al Bhed rock, if you use the japanese Al Bhed chart i got something that sounded like "Watch to/and be careful." (Be vigilant). 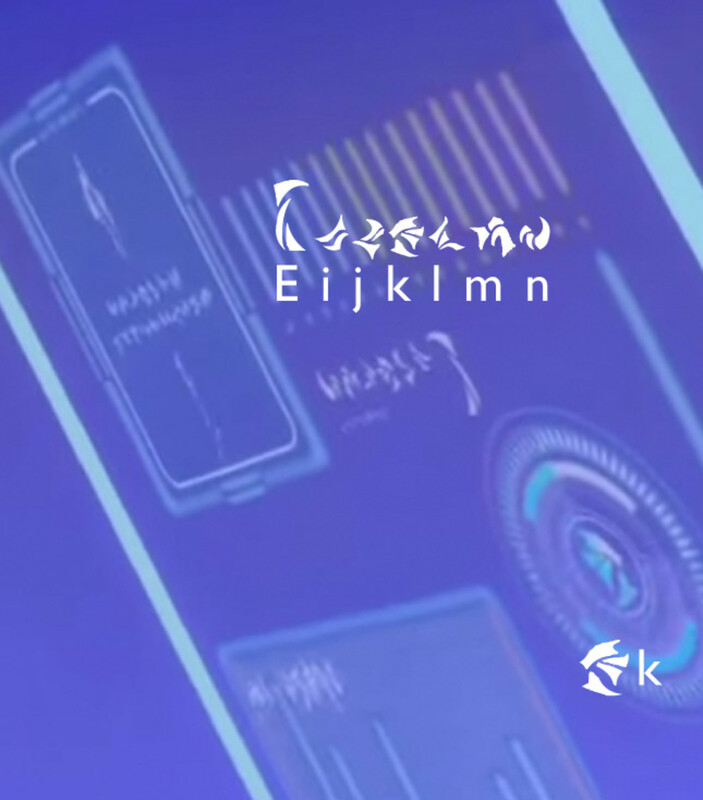 Japanese - English - Al Bhed must be very hard, so for things beyond names the developers might have relied on their native tongue instead. Keep in mind, i could be wrong, BUT, i got that after TRANSLATING IT FROM AL BHED TO JAPANESE. Again, a lot of work! That's probably why the Al Bhed in English is just straight up English and not in Al Bhed. (Like "Chocobo Rental"). You are absolutely right; I don't know why I never thought to try flipping it. Brilliant solution! Left you this comment on Tumblr as well, but just in case! We've been looking at the Al Bhed graffiti in the Mi'ihen Travel Agency for about fifteen minutes now. The symbols look like they're flipped horizontally - we keep getting SNIR (RINS). These are great! 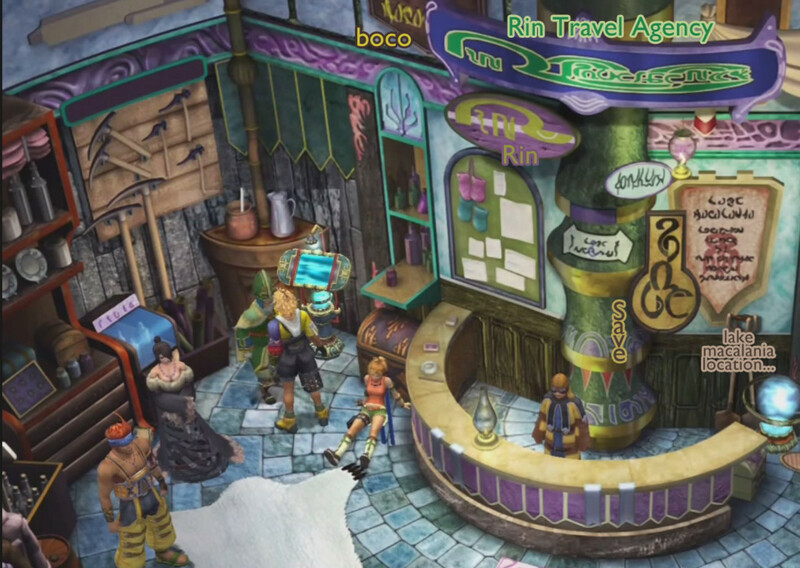 I love fantasy-world ephemera, especially signs, advertisements, and the like, and all of the miscellaneous Al Bhed signage really augment the worldbuilding of Spira. 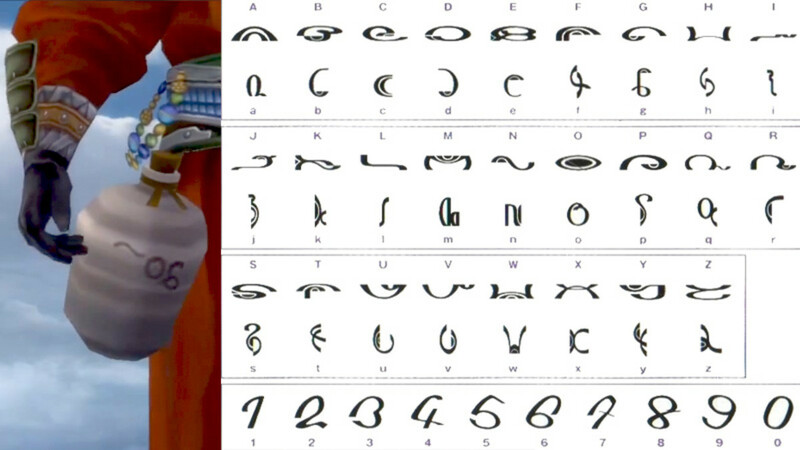 Especially since it is a real, translatable writing system rather than just decorative gibberish, as you said.